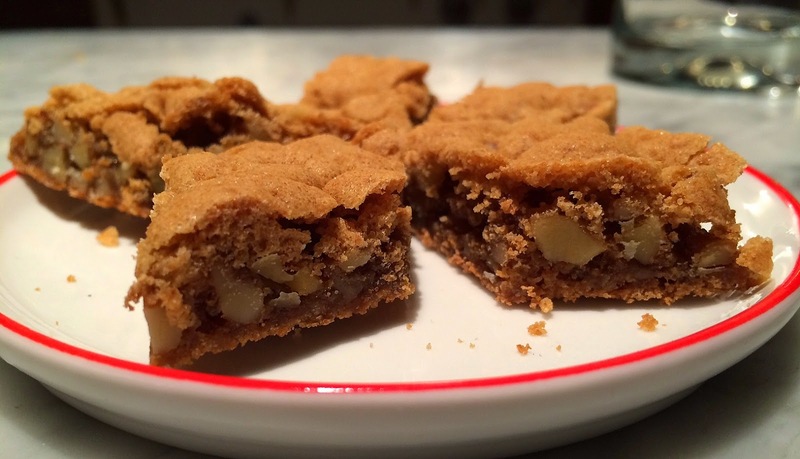 We've all heard of Diamond Walnuts, but these "Walnut Diamonds" are an almost fat-free cookie that take but ten minutes to make and yields a moist, chewy, delicious and incredibly addictive treat. You truly won't believe these contain no butter! All of my tasters loved them. 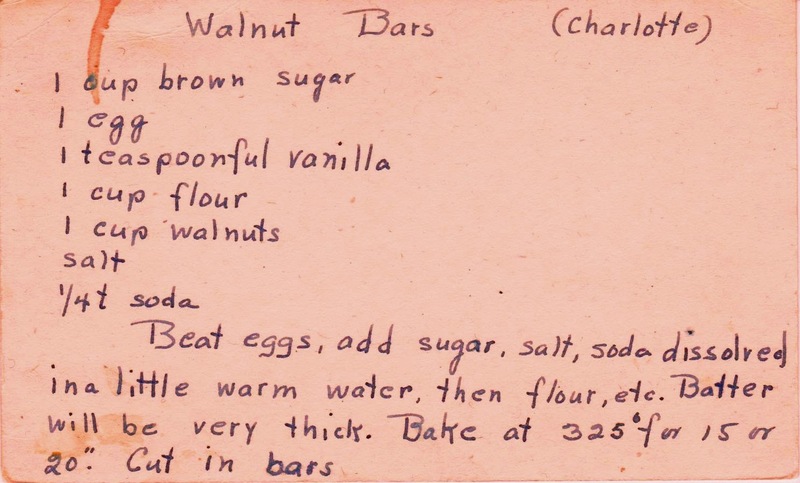 This recipe card, probably dating from the 1940s or 50s, is titled Walnut Bars (Charlotte). 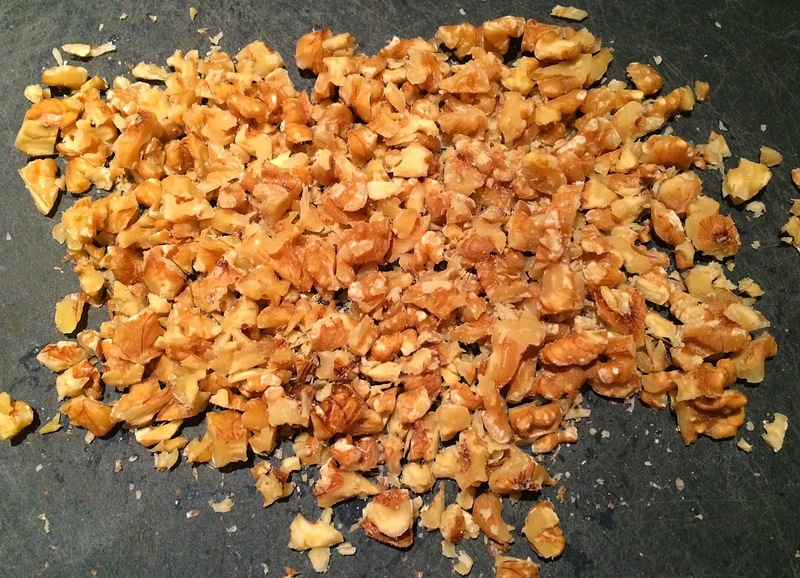 First step, and the most "challenging" is to chop up enough walnuts to equal one cup. 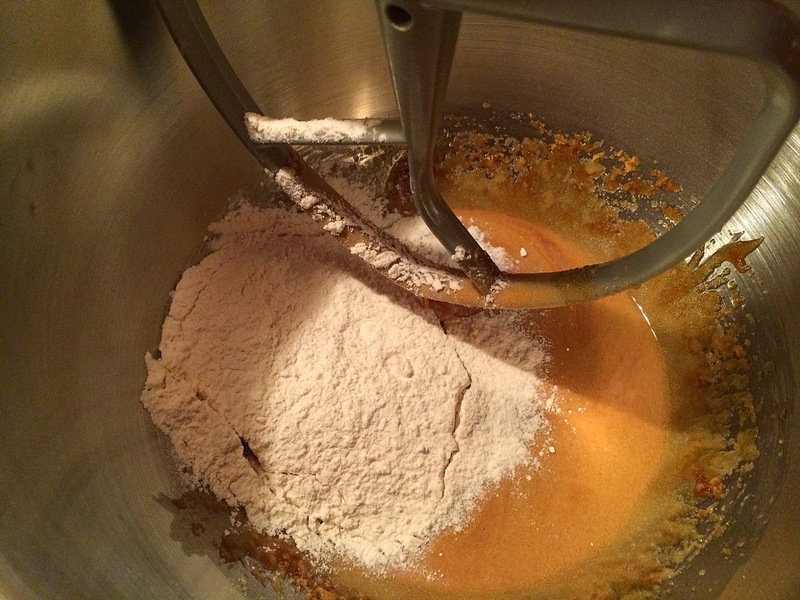 Make the batter by beating the egg and adding the dry ingredients. 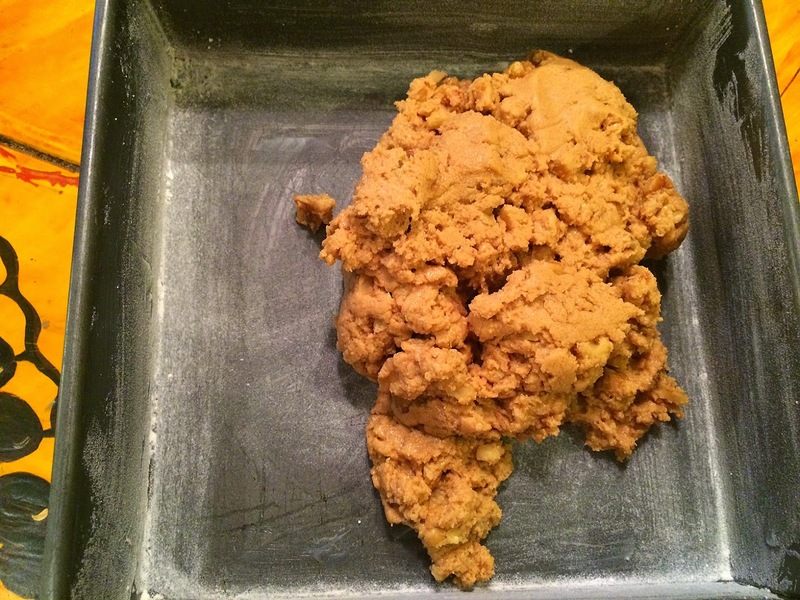 The batter will be thick and sticky. until it looked like this. Bake it for 20 to 25 minutes. 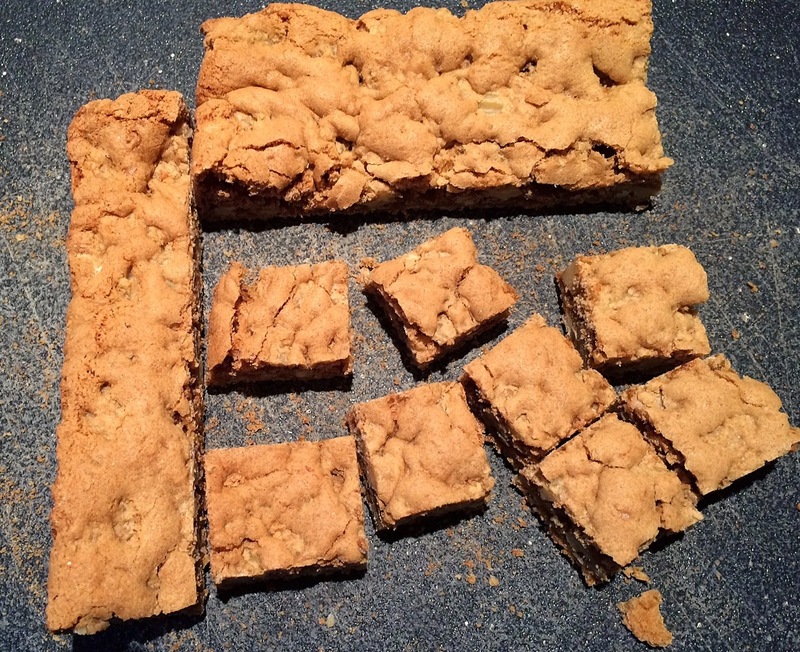 I cut the first batch into squares, below, and the second into a diamond shape. Production notes: I followed the recipe exactly, except I did not dissolve the baking soda in water mostly because I couldn't figure out why that needed to be done. 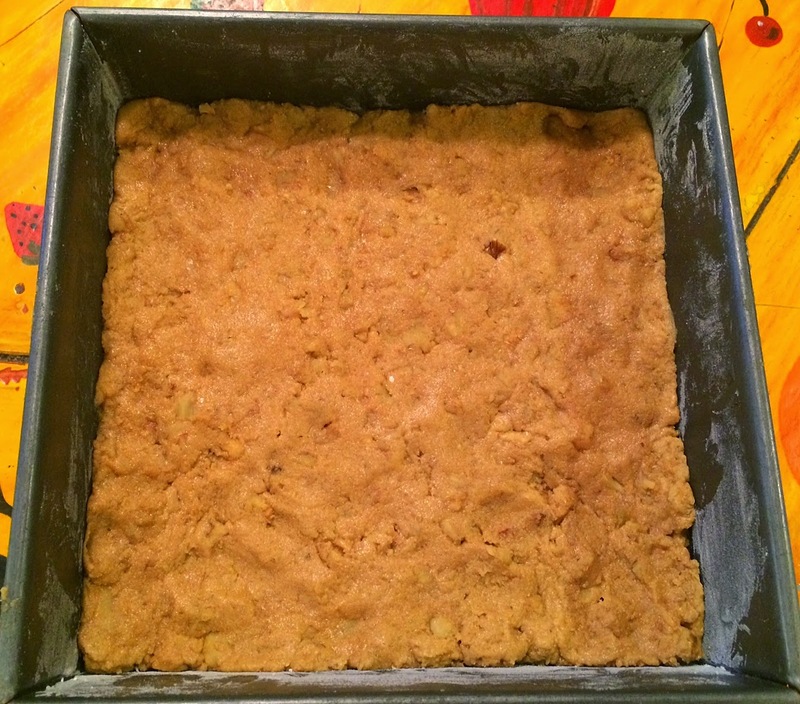 I simply added it -- and 1/2 teaspoon of salt -- to the flour mixture. 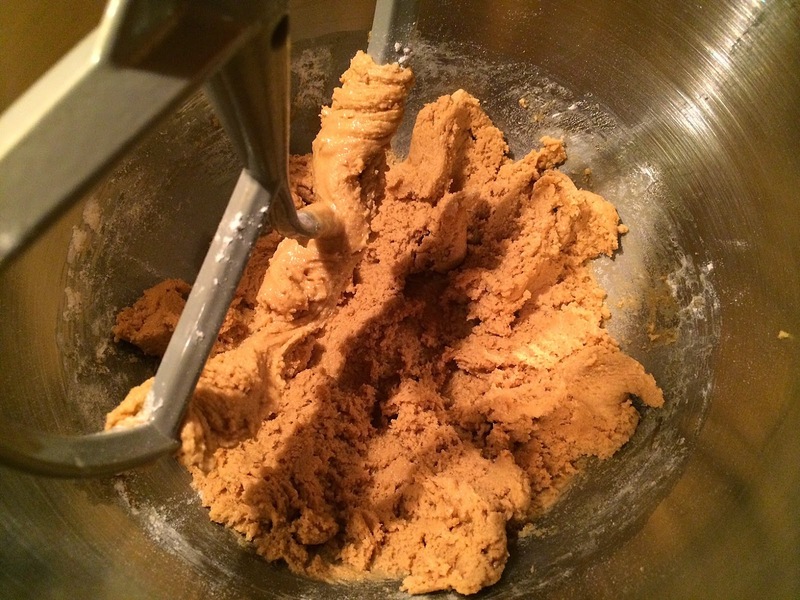 I added the vanilla to the batter right before the dry ingredients. Thank YOU, Louise! I love that they don't contain butter and are STILL good. 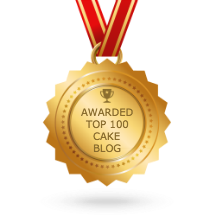 Just popped over to your blog and saw the walnut post -- very interesting! Thanks for writing. Looks like a good recipe. 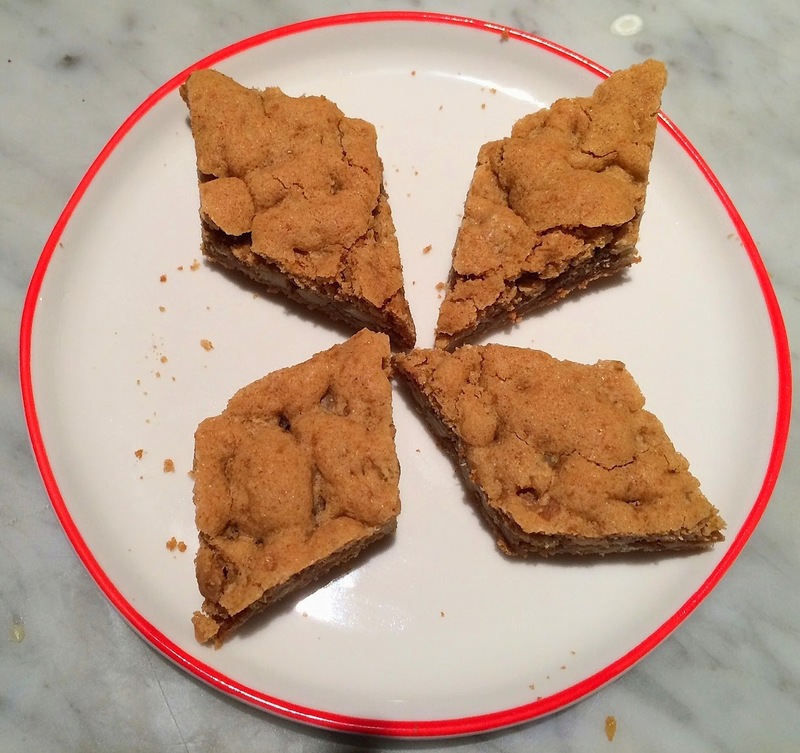 Just a note - this is not a fat-free recipe. While, it doesn't contain butter, it does contain walnuts and egg, both of which contain fat. So true! I guess I forgot about the walnut and egg fat. I'll fix the post, and thanks for the correx! Got this message via email: I can't post on the blog for some reason. But I wanted to tell you that baking soda used to be sold in rocks, not powder, so the only way to disperse it reliably was to dissolve it. 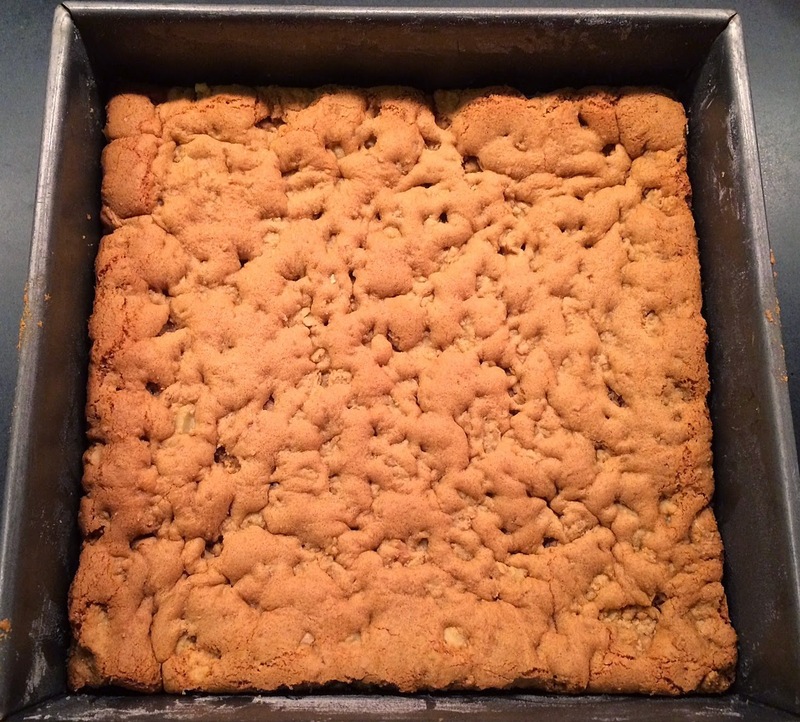 The original Toll House cookie recipe called for dissolving the soda, and was amended when powdered became widely available. For years afterwards, the recipe contained a random teaspoon of water because Nestle was afraid to leave it out. Sorry for the difficulty posting on the blog. It's a blogger thing, I'm afraid. And because of the great amount of spam posts I get, I need to moderate the comments prior to posting. But thanks so much for the explanation! Very helpful indeed.